Ice Cube has had a nice career run on the big screen – and now, the rest of his old N.W.A. pals are about to join him… sort of. Andrea Berloff, the writer behind Oliver Stone's "World Trade Center," is penning "Straight Outta Compton," the big screen tale of the iconic rap group, according to The Hollywood Reporter. The group, which put gangsta rap and Compton, Calif., on the map, launched the careers of Ice Cube, Dr. Dre and the late Eazy-E, as well as MC Ren and DJ Yella, with the debut of their "Straight Outta Compton" album in 1988. N.W.A. had several hit records before internal turmoil eventually broke up the group in the early '90s. 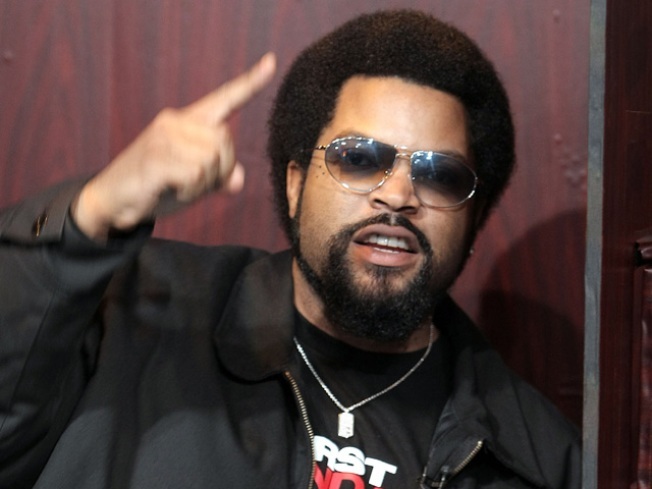 Ice Cube – aka O'Shea Jackson — left the group in 1990, but went on to a successful solo rap career before transitioning into a full-fledged box office star. Dr. Dre – aka Andre Young – has established himself as one of the premiere producers in the rap/hip-hop genre over the years, launching the careers of Snoop Dogg and Eminem, amongst others. The brash and outspoken Eazy-E – aka Eric Wright – was largely the face of the group until they split in 1991. In March 1995, he announced he had been diagnosed with AIDS. He died two weeks later at age 31. While no castings have been announced for the biopic, Ice Cube will serve as a producer on the film. Tomica Woods – Eazy-E's widow – is also listed as a producer on the project.